Fenced in yard! Great for children and the family pets to play. Low lot rent of $665.00 with a community pool. 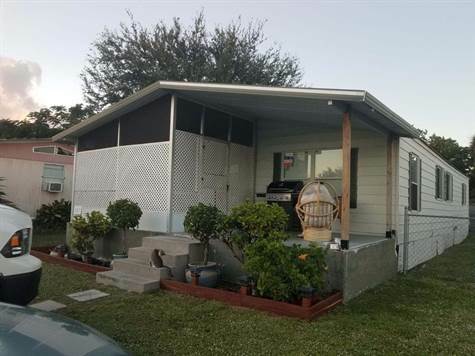 3 Bedrooms and 2 Bathrooms Doublewide. Home is clean and well maintained. Laminate flooring and privacy patio in front. Nice built in entertainment center in livings room. Big open kitchen and dining room. Spacious bathrooms.